Few places in Mumbai have the ability to transport you into another world and the Dome at The Intercontinental, Marine Drive is one of those. 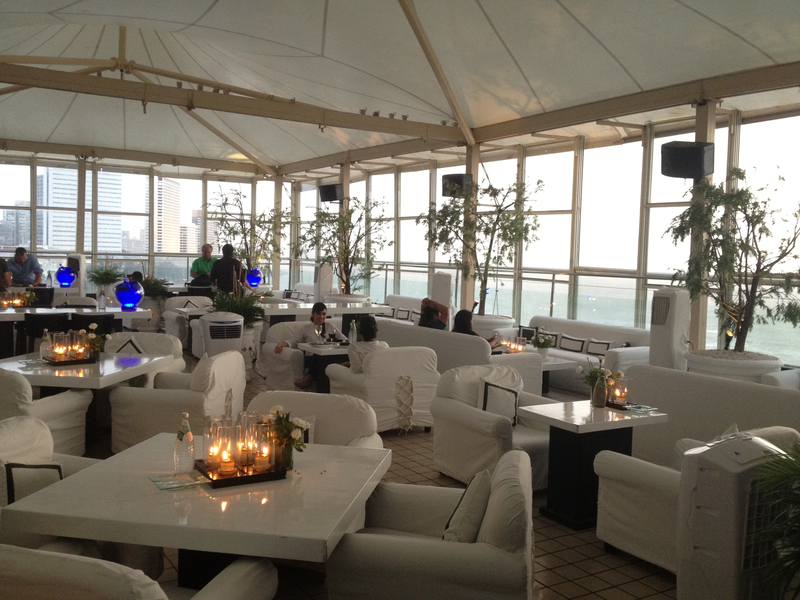 The rooftop restaurant is one of my favourite places and I can sit there for hours gazing at the Arabian Sea, especially so in the monsoons. I basically love open dining places. Monsoons truly are special at the Dome and this year is no exception.What’s more, the place has a new covering for the monsoons and with the weather controlled environment, it is bound to be the first on everyone’s list. With Chef Paul Kinny at the helm, one knew that the new Barbecue Menu of Skewered Specialties, which he has crafted for the monsoons, will be delightful. The stuffed Bhavnagiri Chili Tempura with four cheese and cumin yogurt dip, I thought was extraordinary and I would rate it as the numero uno on the new monsoon menu. Truly innovative. The Smoked Cottage Cheese Skewers with Rose petal chutney and Cajun Mushroom & Water Chestnut Skewers with a raw mango and grape dip were surprisingly a disappointment. The flavours in the paneer were too subtle, even to register on the palate and the mushrooms were a trifle bland. Did not tickle my taste buds. 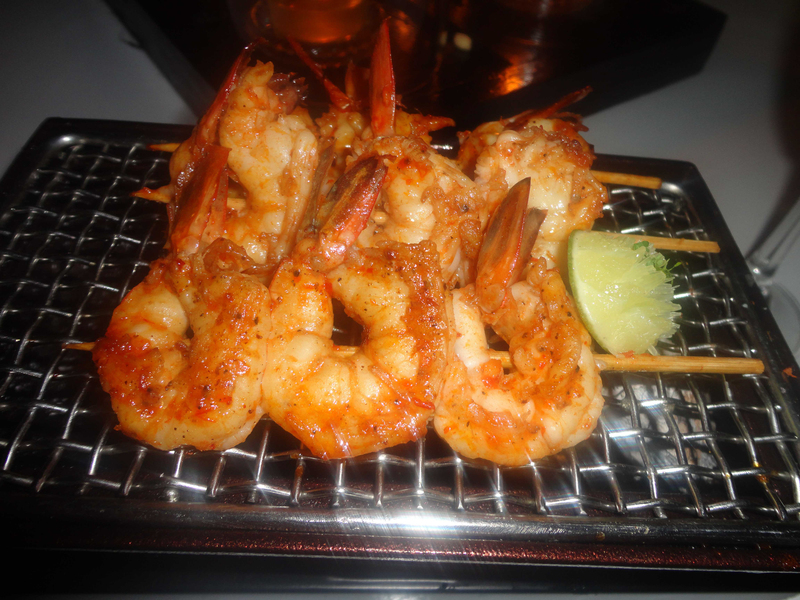 Arabian Sea prawns skewers were delicious as the prawns were juicy and succulent. Of course, the “Monsoon bhutta” was perfect, lemony and tantalizing. No scope to wrong with that anyway. Chilli Pineapple & Vegetable skewers with tomato and bell pepper coulis were unusual, as the contrast of flavours was apparent. The dips were definitely interesting. The rose petal chutney was delectable, as was the home-made sweet tomato jam. Creativity at its best. There was something for every palate. A flute of champagne, of course, Moet & Chandon, or a glass of martini or even some of Domes signature cocktails added to the experience. “We have created this Monsoon Menu keeping in mind some of Mumbai’s favourite comfort foods of the season, and have added a special touch by blending different textures & tastes in order to present a menu that is a mix of foods & ingredients associated with the rains, with new age flavours”, says Chef Paul Kinny. The Dome has the distinction of being Voted Mumbai’s most Romantic Restaurant for the year 2005-2006 and has been voted one of the top 10 skybars in the world by many. I am not surprised. It is easily one of the best hot spots in Mumbai where one can unwind and relax amidst the sights and sounds of nature. Am going back again when it pours. Oh! Monsoons make me think of Goa and Goa, feni. There’s nothing like enjoying a glass of feni in this weather at home or in a shack by the beach. Pure bliss. The first time I ever tasted feni, many aeons ago, I simply gulped it. My host looked askance. And then began my ordeal. I was out of sorts for the entire next day. Feni gets its name from the Konkani word, fena, which means “froth”. This twice-distilled “unofficial state drink”, Feni can be made from two sources – sap of coconut palm (coconut feni) or juice of cashew apple (cashew or “kaju” feni). And Goa has both these in abundance. Goans generally prefer Cashew feni over Coconut feni, at least those with a sophisticated taste. The longer the feni matures, the better it tastes. A three-year old Feni is considered good. The true test of a good feni is the colour of the flame. Yes, when burnt, the flame should be blue. That indicates its’ purity. It is not as if only we Goans are fond of our feni. Otehrs swear by it too. Bartenders love it for its versatililty.It is heady. The aroma is distinct and you can sniff it a mile away. If used cleverly, great cocktails can be created. Kazkar Feni is typically used in cocktails. As if drinking feni is not enough, we Goans use it in our coking too. Goans usually spike their Sorpotel (a Goan delicacy made of pork) with Feni and it is also used to cure ham. It gives it a special flavour. Be careful if you are having it fir the first time. Don’t go overboard like I did. Go slow. You may not even enjoy it. It gorws on you. But the best way to experience feni is at the roadside stalls that line the coastal highways when it is pouring. Ooh ! that experience is unparalleled. I can go on and on about feni till the monsoons end, but don’t worry. I will not. Instead, I shall head to Goa soon to enjoy a glass. You too must try it when you’re in Goa next. No liquor in the world can give you the enjoyment, this rustic drink does. It has gone the world over already. Share these secrets from Haagen Dazs ! Blessed with a sweet tooth, am always looking out for new and interesting desserts. Pastries, cup cakes, Indian sweets, I love them all, but have a special soft corner for ice creams. And was thus delighted when I stepped into the new Haagen Dazs lounge at Palladium in Phienix Mills, Lower Parel, Mumbai and discovered that they now offer new range of innovative premium ice creams; Secret Sensations. Secret Sensations offers an exceptional experience, a contrast of textures within one serving. The firm juxtaposed with the soft. It simply melts in the mouth. The molten sauce encapsulated within a cup of rich ice cream is truly a dessert lover’s delight. Available in two flavours: Chocolat Fondant; and Crème Brulee, Secret Sensations is bound to be a great hit. I loved the spongy texture of the chocolate cake with bits of brownie alongwith a warm fluid chocolaty core in the Chocolat Fondant. It is sinful. So, if you love chocolate and like having a mélange of textures in your ice cream, this is a must try. To replicate the experience of biting into the caramelized sugar crust on a traditional Crème Brulee, Häagen-Dazs has incorporated crunchy caramelized sugar bits into the decadently creamy custard ice cream which conceals a smoky caramel sauce at its core. I am normally not a great fan of caramel sauce, but this one caught me with complete surprise. Loved it. In fact it even scored over the Chocolat Fondant for me. These are available in minicups at most gourmet retail stores. 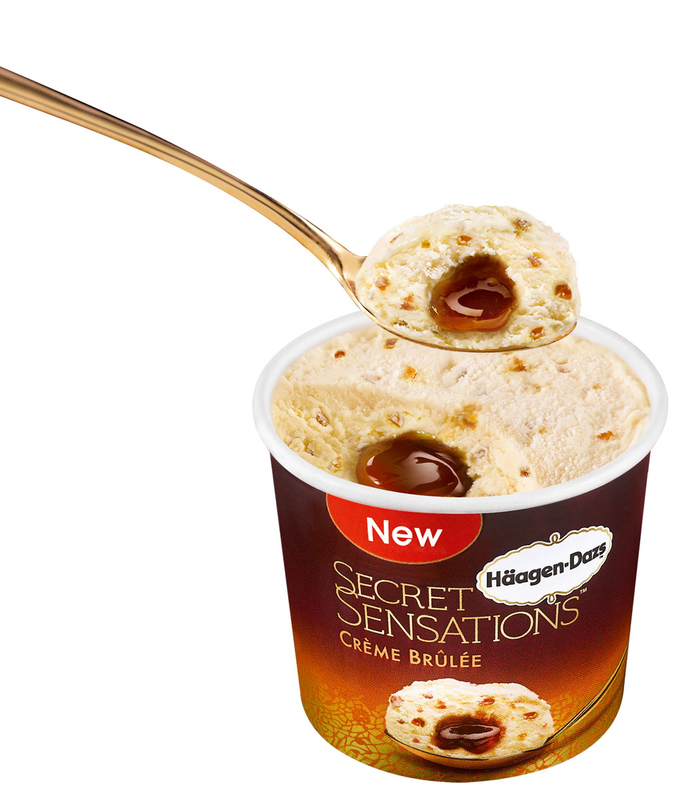 These will also be available in Multi-packs (2 minicups), across all Häagen-Dazs lounges and retails outlets. The packaging itself is so attractive and appealing. Need I say more about the secrets inside? 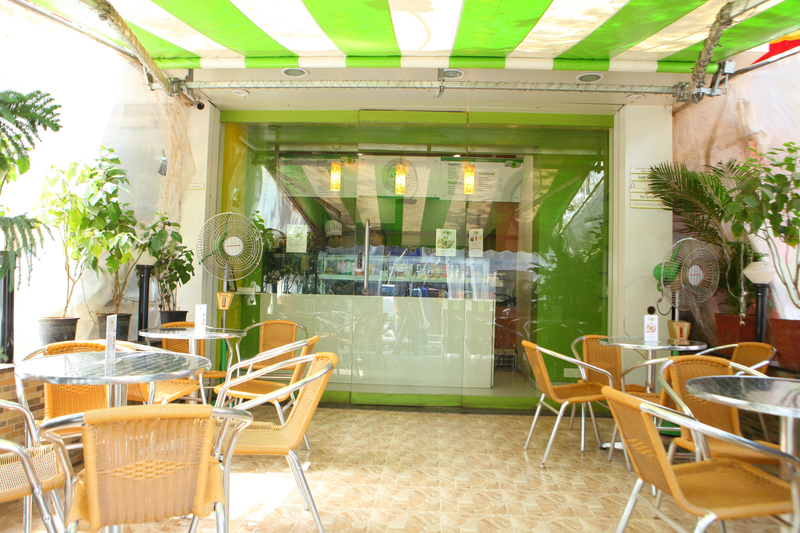 It’s not everyday that your search for a nice cosy place for a quick bite ends at a a cheerful, small cafe on Nehru Road in Vile Parle East. The Good Food Co. started by foodie n entrepereneur Anuj Jodhani, is an exciting gourmet initiative. The perfect place for an early morning breakfast( it opens at 7 am!) or a quick lunch on your way somewhere, or even a late night gup-shup session with friends over coffee, it is fast gaining popularity. Burgers, sandwiches, salads, wraps, pastas, pizza, hot n cold beverages, this lil’ cafe has them all. Vegetarian it is, but the ingredients used are wholesome and fresh, thus making your experience at The Good Food Co an unforgettable one. The prompt service by the polite staff further makes it a must-visit place. 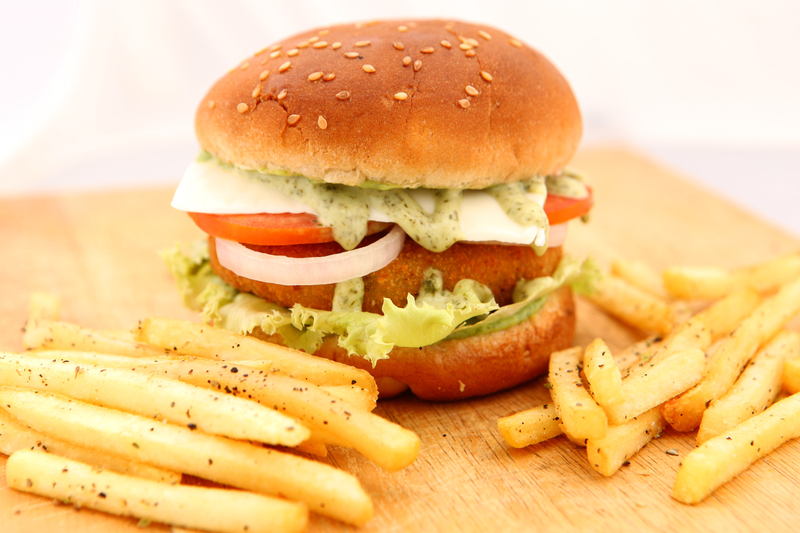 The Mushroom stroganoff and the Penne pasta in Alfredo sauce( a yummy white sauce) are delectable and a must-try.The crunchy paneer burger is filling and value-for-money. The chilli cheese toast was so reminscent of my college days that it made me take a trip down memory lane. The coffees and tea are affordably priced and one feels one is in a college canteen. One visit to The Good Food Co and you are bound to get addicted. The simple but tasty food is what sets it apart. What’s more, they even offer a home delivery service in Vile Parle (E). Almonds are my favourite among all dry fruits. I love them as a roasted, salted, snack. I usually soak a few overnight and peel the skin in the morning and have them before my breakfast. In the Victorian era, nuts were considered a delicacy, which is why they were eaten at Christmas. The best thing about alonds is that due to their unique health benefits, almonds are guilt-free. 28 grams, 160-calorie handful of almonds is high in vitamin E, magnesium calcium and potassium. Almonds are also a natural source of protein, naturally high in fibre. Recent research shows they also contain flavonoid antioxidants in levels comparable to broccoli and tea. Research shows that eating about a handful of almonds a day may actually help lower LDL, or “bad” cholesterol levels. Nutritional benefits apart, almonds taste so good. I love to use them in my cooking too. as a garnish on phirni, in gajar halwa, in pulaos. I also prepare a nice chicken curry with ground almonds in my masala paste along with other ingredients. Lends a unique thickness and flavour to the dish. Kashmiris use a lot of almonds in their daily cooking too. And of course in macroons and marzipans during Christmas. Delectable. Enjoy them, but don’t go overboard too. Especially the salted ones should be consumed sparingly. The city is abuzz with culinary excitement. JW Marriott Mumbai has partnered with two star Michelin Chef Sergi Arola to bring ‘the’ Arola brand to India. Mumbai sure has reason to be proud. I was fortunate enough to dine with the twice Michelin Star Chef Sergi Arola. He is a delight to be with. Knowledgeable ofcourse, he prefers to simplify cuisine and hates complex stuff. That to his mind, is the real challenge. He likes to be contemporary in the kitchen but without doing away with being traditional. Suave and charming, he draws you into converstaion with convival ease and listening to him speak English, it is hard to believe that he has never learnt the language. He is tired with frenetic activity of the last few days, yet, he is charm and politeness personified, painstakingly explaining each dish and how it is should be eaten. This culinary maestro loves music, tomatoes, and tandoor. Not neccessarily in that order. Naan is his favourite bread, the world over and he is eagerly waiting to visit Kashmir. A great traveller, he has an insatiable curioisty about people, places and ofcourse food. 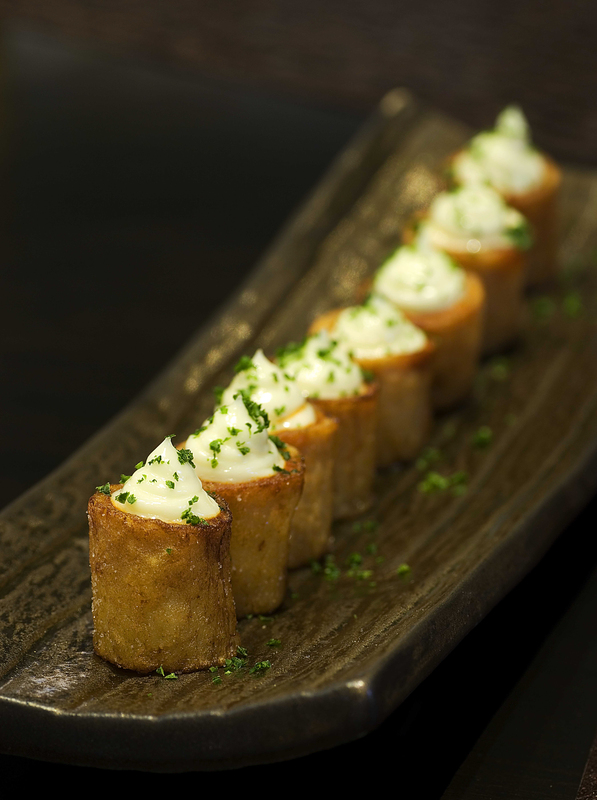 A definitive proponent of Spanish heritage, Sergi will delight guests in Mumbai with gourmet Spanish cuisine. A chef who weaves stories of his homeland into his food, he is the proud owner of six celebrated restaurants around the world bringing the first ever outlet to Asia here in India. He gushes, “India is on the brink of a culinary revolution. I am very excited about bringing the Arola experience to India. The menu will include specially selected mix of all the popular dishes from Arola restaurants all over the world, while also creating signature items for Mumbai. The aim is to surprise the Indian audience with eclectic European cuisine designed especially for their increasingly discerning palate. JW Marriott Mumbai with its location and hospitality philosophy is the perfect fit for an Arola experience”. The meal with Chef Sergi was a gastronomical journey par excellence. We were offered food in the unique culinary concept called ‘Pica Pica’ – a style of dining where a variety of creative dishes are served on a platter for all to share. The food was presented on small beautiful ceramic, glass and stone plates. I sampled signature preparations by Chef Sergi Arola. Patatas bravas (“Bravas de AROLA”, deep fried potatoes filled with a spicy tomato sauce and topped with aioli), Sardinas (Marinated fillets, with “Huevas de Arenque”, tomato and toasted bread), Tomates Maduros (Served as a salad, tossed with extra virgin olive oil, marinated tuna and black Alentejo olives) and Gambas (Prawns sautéed with garlic, chili and parsley). The meal was perfect. However, I realised that I did not have a palate for the Spanish rice- the Lobster rice which was served. The rice was semi-cooked (meant to be that way) but definitely not something I or maybe many Indians enjoy. The flavour ofcourse was unparalleled. His cooking is delicate, precise and yet, exploding with flavour. I am told there are over 30 varieties of Gin on offer at the Bar. Gin is surely back in fashion. Chef Manuel Oliveira Seller – Chef de Cuisine will oversee the restaurant operations that will ensure a seamless blend of the ambience and experience that “Arola” stands for. A key aspect of the restaurant is contemporary lounge music with distinctive Spanish and Latin influences. Open All days Seating Capacity – 12 bar seating, 3 live counter seating, 20 al fresco, 48 restaurant seating. Dining in Mumbai, I assure you will never be the same again. I love Dim sums. Was first initiated into eating these by a colleague in erstwhile Calcutta. Momos is what they are known as in Kolkata. The Tibetan influence I guess. But whatever its name or avatar, I enjoy these. Generally steamed or fired, these are dumplings with a filling. They are sumptuous. And healthy too (the steamed ones). Dim sums and soup, and I am done for a meal. Steamed chicken dim sums are my favourite. Somehow I prefer these to sea food ones. Veg ones. Nah! And somehow I don’t care for the open ones called Shui Mai. 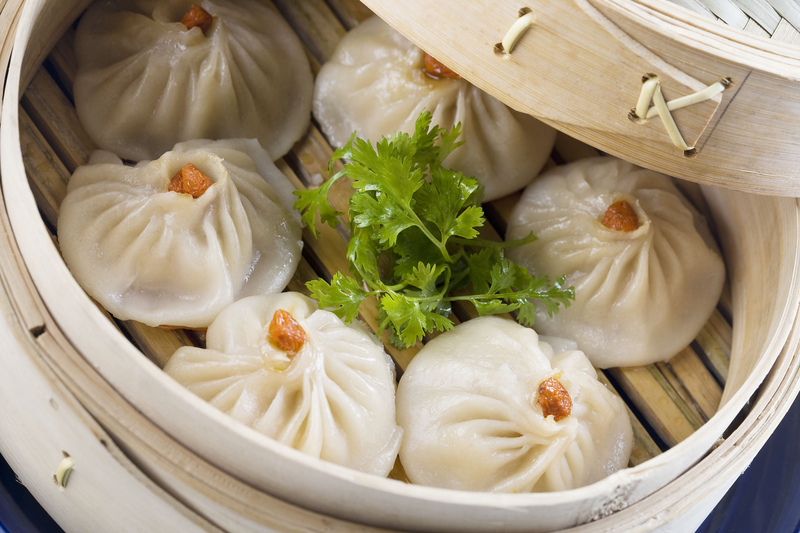 Mumbai has a plethora of options when it comes to dim sums. Courtyard by Marriott has great ones, so does Leela Kempinski. Even a small eatery on Link Road in Oshiwara called Fire Bowl offers delctable ones and affordably priced. China 1 in Andheri West is also my favourite place for dim sums. Someof the small roadside carts earlier used to do great momos, but sadly the quality has deteriorated. Saptami the multi-cuisine all day dining restaurant at Holiday Inn Mumbai International Airport is organizing a dim sum festival starting today until June 16 for lunch and dinner. Wow! Can’t wait to check it out. 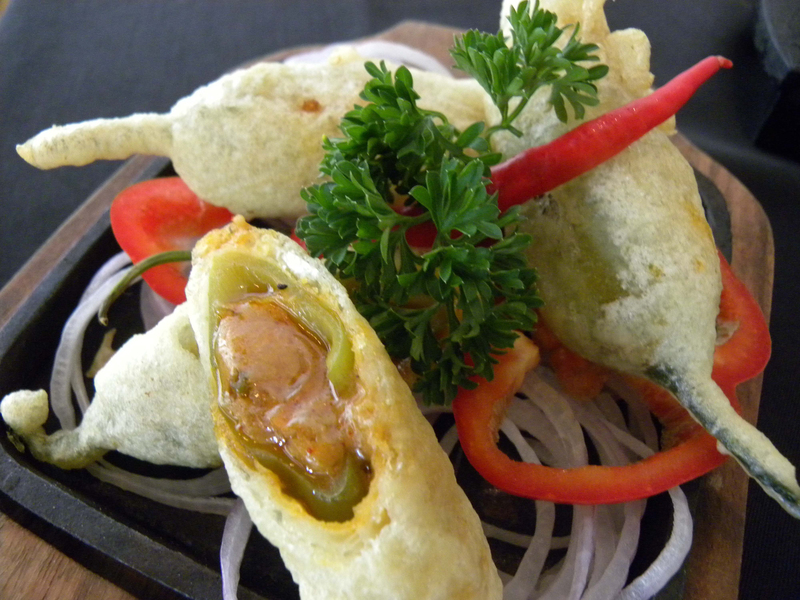 Executive chef Sudhir Pai has prepared a menu which has variety of dim sums to choose from. The regular steamed or pan fried dim sums are available in chicken, vegetable and prawns fillings. The other choices include Shui mai (Small steamed dumplings with either chicken & prawns mix or vegetables both inside a thin wheat flour wrapper), Cha siu baau (Steamed fluffy fermented bun stuffed with Cantonese style barbeque pork), Chee cheong fun ( steamed rice roll) It is a thin roll made from a wide strip of rice noodles, filled with variety of meats and vegetables). Lo Mai Gai (Lotus leaf rice ) Glutinous rice wrapped in a lotus leaf with egg yolk,, mushroom water chestnut and Five spice seasoning, sounds really unique. Dim sums have long been associated with the Chinese custom of yum cha or tea tasting.The Chinese Tea on offer includes Longjing Green Tea. Chrysanthemum Tea, Chamomile Tea , Blooming Tea are otehr unusual ones.